Today we are talking about furnaces and what to do when they aren’t working and common questions. As I was doing my research for this blog post, I stumbled across this video clip from Home Alone that pretty much sums up how I used to feel about furnaces. Now, I know the video shows a radiator and we are talking about furnaces today, but who isn’t a little nervous when facing an unknown machine that’s bigger then we are, produces fire (which our mother told us not to play with since we were little), and makes funny noises? Well, you don’t have to worry about the unknown any more. I’ve researched the top 10 questions about furnaces and asked our technicians for the answers. 1) Why is my furnace not working? Is there a display showing? If your thermostat is electronic, are the batteries charged? Is the system set on heat? Is the temperature set to at least 3 degrees above the current room temperature? If your system has an emergency shut-off switch, locate it and make sure it is turned on. The emergency shut-off switch looks like a light switch and should be located on the side or close to the furnace. Some systems have an emergency shut-off that is activated when the service panel is removed from the unit. If it hasn’t been properly replaced it could be preventing the unit from turning on. Make sure all of the access panels are secured properly. At your home’s main electrical panel locate the breaker and fuses fro the furnace and air conditioning system. Check to see if the breakers have been tripped and that the fuses are not blown. If a breaker as been tripped, it will be in a position between ON and OFF. To reset the breaker, turn it all of the way OFF and then back ON. If a fuse has been blown replace it with the same size and type of fuse. Don’t increase the size of the fuse. If the breaker or fuse continues to trip or blow, contact a qualified technician to inspect the unit and determine why it’s having issues. Check to make sure the unit has enough fuel. If it runs on oil or propane, check the tank to make sure there is enough fuel. If you ran out, you may need to restart your system once you have more fuel. Some units have a reset button on the burner and some require the unit to be turned off and then on again. If the unit is oil-fired, the fuel pump may need to be primed. If this is the case, please contact a service technician. Some older furnaces have a standing pilot (it’s on all the time), check to make sure it’s still on. If not, you may need to re-light the pilot. There should be instructions on the unit on how to do this. If it won’t light, or will not stay lit, call a service technician. 2) Why is my furnace blowing cold air? Check the thermostat. Make sure that the fan setting is on Auto. This allows the unit to stop blowing when your furnace isn’t heating the air. If it’s on the ON setting it will blow air continuously, regardless of if your furnace is heating the air or not. Your furnace may be overheated. If this is the case the limit switch within your furnace may have turned the burners off as a safety devise. A furnace overheating is usually caused by a dirty air filter blocking the air from flowing out of the unit. Try changing the air filter and see if it starts blowing only warm air. The pilot light might be out. See the Ignition section from section 1 above. 3) Why is my furnace leaking water? When your furnace leaks water it could be several things but it’s usually cause because of a condensation leak. High efficiency furnaces have cool exhaust which produce condensation. Typically the condensation is channeled to a floor drain. A leak could be a result of the condensate line being clogged or broken. Or the drain could be clogged. It it’s not the condensation issue, it could be an issue with the secondary heat exchanger. That could be an expensive fix and may require a complete unit replacement, so let’s cross our finger it’s not that one. If your unit have a humidifier it could be leaking inside your furnace. This is unlikely if you’ve had your annual furnace tune-up because your technician should have alerted you of this issue. If you haven’t had it serviced, this leak could be causing internal damage so call a technician right away. There could be an internal drain clog. If your air conditioning is still operating and shares a drain with your furnace it may be plugged somewhere sending water into the furnace. 4) Why is my furnace making a humming or buzzing sound and not blowing air? This is probably because your blower or fan is not working. This can be caused by multiple things. If you have power, check the fan. (If you are uncomfortable with this part, call a service technician). First TURN THE POWER OFF. Slide the sides of the unit off and shine a flashlight inside near the blower. Spin the blades to see if the fan turns freely without wobbling. If it’s blocked or doesn’t turn smoothly, call a technician. If the fan spins freely, it may be the circuit board. Call a technician to have them check if it needs to be replaced. 5) Why does my furnace smell? Generally a strong smell from your furnace is an indication that it needs to be serviced. Many furnace breakdowns are due to dirt or dust in the system so it’s important to get a tune-up at least once a year. If it’s the first time you’ve turned on your gas or electric furnace, it is quite common to get a smell due to dust collection on the heat exchanger or electrical heating elements. You may need to change the air filter. If it’s very dirty, this could cause the smell. If it smells like burning rubber and there is no air coming from the registers, your fan may be jammed. If there’s a strong burning smell, it may also be a sign that the unit has overheated due to dust on the heat exchanger. 6) Why is my furnace making a loud noise and the ground shakes when the air conditioner it turned on? This is most likely a blower motor issue like a bad bearing, broken scroll, or it could just be very dirty. Call a service technician as soon as possible as this could become a major issue. 7) Why is my furnace beeping or blinking LED lights? Blinking LED lights or Beeps are an indication of some kind of abnormal operation like a condensate blockage or a pilot light out. This varies from unit to unit so calling a service technician may be your best option. If you have your make, model, and serial number, they may be able to tell you over the phone what’s causing it. 8) Why is my furnace tripping the breaker? If your furnace is tripping the breaker, it’s most commonly because the blower is overworking. This can be caused by a dirty air filter blocking airflow, air leaks, and closed or blocked off air registers causing the blower to work harder to push the air through. This also increases the energy consumption of the blower which will sometimes trip the breaker. Your furnace may also share a breaker with another appliance which may have malfunctioned and caused it to trip. If the issue persists after replacing the air filter, contact a service technician. 9)Why is my furnace not lighting? Newer gas furnaces come with an igniter that electronically lights the gas to heat your home. If your furnace have an electronic igniter, you will need to find the reset button and try turning it off and back on again. If you have fuel, have reset the igniter but it still doesn’t light, immediately turn off the thermostat and call a service technician as it’s an indication that the igniter isn’t functioning properly. 10) I’ve checked everything and it’s still not working, what now? If you have tried everything else, check the gas valve, it’s usually located within six feet of the furnace, and make sure that it’s turned to the ON position. If you have other gas appliances you can also check the gas line to the house to make sure that it’s ON. If you’ve tried everything and you still aren’t able to determine what the issue is, call a service technician. Most furnace issues can be avoided by keeping up on preventative maintenance. If you are ever uncomfortable or unsure about how to safely troubleshoot your system, please don’t hesitate to call a service technician. Most HVAC companies have an emergency number for after-hours calls. And when you call Resource Services, you’ll speak directly to a knowledgeable technician every time. I hope this helps you feel a little more confident about finding out what’s wrong with your furnace. Do you have any furnace questions that we didn’t answer in the above post? Please feel free to share them below and we’ll help you get the answers you need. Andrea Pohlsander is an administrative assistant for Resource Services, Inc. She’s fairly new to the HVAC industry but is backed with the support of expert technicians, including Resource Services’ owner, Dennis Sult, who has over 45 years of industry experience. 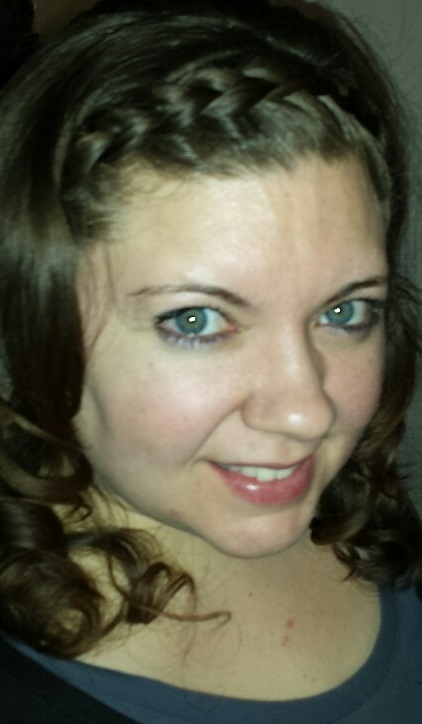 She enjoys reading, writing, and pursuing creative endeavors like scrapbooking and experimenting with new recipes. My furnace blower motor was replaced about two years ago and recently I had to replace my board resently thinking it would fix my problem of the blower turns backwards blowing air through my return vents has anyone had this problem can anyone help.